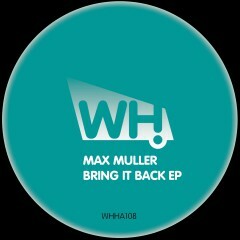 French house producer Max Muller keeps building his profile with quality releases on hot labels such as Defined Music, Olatu Recordings, MoonShake Records and Happy Days Records to name a few. We are happy to welcome him onboard and bring you one of his finest EPs ever. Bring It Back EP features two killer cuts for the floors. Both tried and tested across Europe to great response. Quality!